The free office wall photo-realistic mockup is perfect for displaying your branding designs. This high resolution mock-up features an office wall with smart object layers. 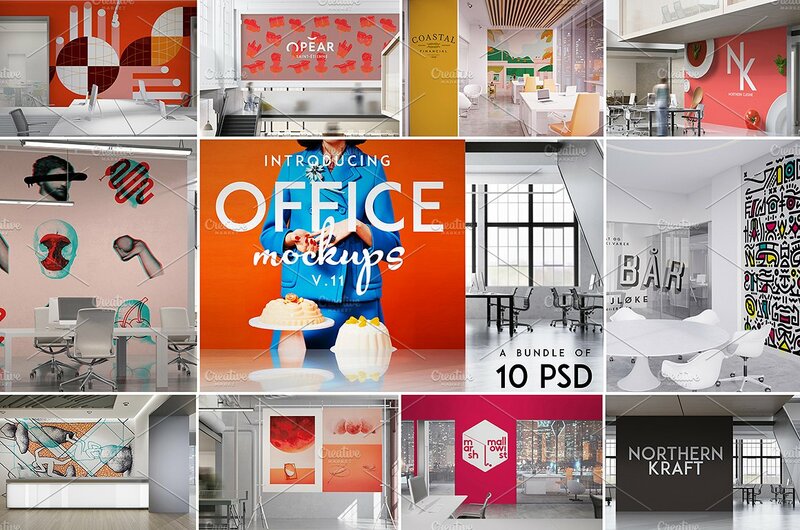 You can buy the full set of 10 Office Mockups Bundle on Creative Market.